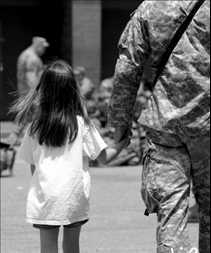 Thanks to Military Avenue.com – an online service supporting military families with relocation, travel, and lifestyle needs – compiled the following tax tips. A video of tax tips if you’re down range or overseas. When it comes to paying taxes, for example, military members can claim a host of tax advantages that aren’t available to civilians. Courtesy of USAA – 13 tax deductions you can’t ignore – such as traditional IRA contributions, self-employed retirement plans, mortgage interest and sales tax. If you serve in a combat zone as an enlisted person or as a warrant officer for any part of a month, all of your income received during that time is exempt from federal taxes. For officers, the monthly exclusion is capped at the highest rate of enlisted pay. More details on tax-free pay. Under the Military Spouse Residency Relief Act, military spouses can choose to be treated as if they still lived in their previous state. That could generate big savings if their previous state has lower tax rates — or no income tax at all. For complete details, download IRS Publication 3, Armed Forces’ Tax Guide, which summarizes many important military-related tax topics. Publication 3 may also be ordered by calling 1-800-TAX-FORM (800-829-3676).